ETB Group is committed to protecting and respecting your privacy. This policy (together with our terms and conditions and any other documents referred to) sets out the basis on which any personal data we collect from you, or that you provide to us, will be processed by us. For the purpose of the General Data Protection Regulation of 2016, the data controller is ETB Exhaust, Tyres & Batteries (Worcester) Ltd. If you contact us, we may keep a record of your correspondence. ETB Group reserve the right to record telephone calls into our company, this is done in-order for us to monitor, maintain and improve the quality of service offered to our customer. Details of transactions you carry out through our web sites or in person and any data necessary for the fulfilment of your orders including your name, address, email address, telephone number, vehicle type, vehicle registration, MOT or service due dates. Information you provide in order to subscribe to our promotions or newsletter. 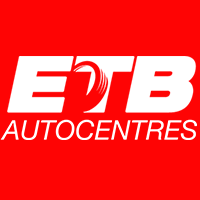 We may also ask you for information when you enter a competition or promotion sponsored by ETB Group. The information collected and held may include but is not limited to: anonymised information about your computer, including where available your IP address, operating system and browser type, approximate geographic location, referral source, length of visit and number of page views for system administration and to report aggregate information. This is statistical data about our users' browsing actions and patterns and does not identify any individual. However, this data which may for example be collected by Google analytics may be processed outside of the UK or European Economic Area (EEA). By using this website, you agree that your information may be transferred, stored and processed outside the EEA. Personal data supplied to ETB with your consent or collected by contractual, legal, vital or legitimate interest may be used for marketing purposes but you may unsubscribe by clicking on the un-subscribe button situated near to the bottom of any marketing e-mail or newsletter. Your personal data is not shared with any third party (excepting legitimate requests from government and enforcement agencies and the police). The data is stored on secure servers within the UK or European Economic Area (EEA), though it may be stored on secure servers outside of the UK or European Economic Area (EEA), where this is done, appropriate steps are taken to protect your information. By using this website, you agree that your information may be transferred, stored and processed outside the EEA. Personal data held by ETB will be stored securely for a maximum of 36 months before deletion or anonymisation, except where we have a legal obligation to keep for a longer period. Analytics – ETB Group sites use analytics cookies to helps us understand how users engage with our website. An example is counting the number of different people coming to our website or using a particular feature, rather than the total number of times the site or feature is used. Without this cookie, if you visited the website once each week for three weeks we would count you as three separate users. We would find it difficult to analyse how well our website was performing and improve it without these cookies. Analytics Google provides anonymised data about the visits made to our website. Social Sharing Google also store cookies which allow the "Google +" social sharing functionality. Analytics AddThis provides anonymised data about how many users are sharing content on our website. Social Sharing AddThis store cookies which allow the social sharing functionality on social networks such as Facebook .Interest-Based Advertising AddThis tools may also collect data for the purpose of interest-based advertising.